Bullett Racing V2-WideBoy Kawasaki SXR with moulded tubbies. 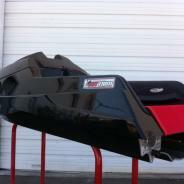 This boat hmay have the same look as the Original SXR with the exception of the bottom. The Bottom on the V2 is a race bread and proven design that over the past few years has been winning championships on every continent that it races on. This Hull was built around the intake system of this boat with no comprimises in race conditions The Wideboy hull introduces a wider tray for more rider input, the tray is 2" wider at the back and 3" wider at the front. Bullett Racing only uses the highest qaulity materials on the market, all of our composite products are built built with AME 6000 Pure Epoxy Vinyl Ester resins. The hull comes with a composite deck and bottom, composite bulkhead, carbon fiber ride plate for rididity and and memory retension, Bullett racing proprietary intake system that comes with intake shoe, and intake grate, composite hood with four air intake tubes inside the hood, tucked high up in the hood making it he most water tight hood on the market. The hull also comes with bow eyes front and rear, 2.5in. 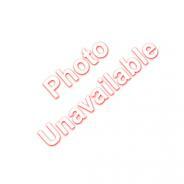 exhaust, hull extensions, bond flange wedges, steering cable tube, 2ea. 1/2in water lines, 5/8in trim cable tube, moto mount holes pre-drilled for either 800 or 1100 motor configuration, And last of all deck and bottom are glued together with a high strengh bonding glue, and all hull a pre-finished on the inside with white gel-coat and black splatter. Bullett Racing V2 Kawasaki SXR with moulded tubbies. 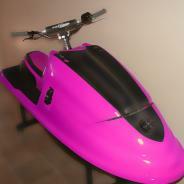 This boat may have the same look as the Original SXR with the exception of the bottom. The Bottom on the V2 is a race bread and proven design that over the past few years has been winning championships on every continent that it races on. This Hull was built around the intake system of this boat with no comprimises in race conditions. Bullett Racing only uses the highest qaulity materials on the market, all of our composite products are built built with AME 6000 Pure Epoxy Vinyl Ester resins. The hull comes with a composite deck and bottom, composite bulkhead, carbon fiber ride plate for rididity and and memory retension, Bullett racing proprietary intake system that comes with intake shoe, and intake grate, composite hood with four air intake tubes inside the hood, tucked high up in the hood making it he most water tight hood on the market. The hull also comes with bow eyes front and rear, 2.5in. exhaust, hull extensions, bond flange wedges, steering cable tube, 2ea. 1/2in water lines, 5/8in trim cable tube, moto mount holes pre-drilled for either 800 or 1100 motor configuration, And last of all deck and bottom are glued together with a high strengh bonding glue, and all hull a pre-finished on the inside with white gel-coat and black splatter. Bullett Racing V1-Wideboy Kawasaki SXR with moulded tubbies. This boat has the same look and feel as the Original SXR with the exception of the mouded tubbies for more straightline stability for greater rider input. 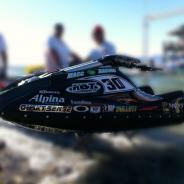 Bullett Racing only uses the highest qaulity materials on the market, all of our composite products are built built with AME 6000 Pure Epoxy Vinyl Ester resins. The hull comes with a composite deck and bottom, composite bulkhead, carbon fiber ride plate for rididity and and memory retension, composite hood with four air intake tubes inside the hood, tucked high up in the hood making it he most water tight hood on the market. 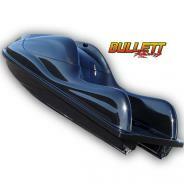 The hull also comes with bow eyes front and rear, 2.5in. exhaust, hull extensions, bond flange wedges, steering cable tube, 2ea. 1/2in water lines, 5/8in trim cable tube, moto mount holes pre-drilled for either 800 or 1100 motor configuration, And last of all deck and bottom are glued together with a high strengh bonding glue, and all hull a pre-finished on the inside with white gel-coat and black splatter. Bullett Racing V1 Kawasaki X-2 with moulded tubbies. This boat has the same look and feel as the Original Generation X-2 with the exception of the mouded tubbies for more straightline stability and . 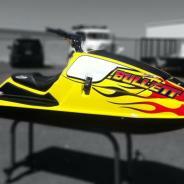 Bullett Racing only uses the highest qaulity materials on the market, all of our composite products are built built with AME 6000 Pure Epoxy Vinyl Ester resins. The hull comes with a composite deck and bottom, composite bulkhead, carbon fiber ride plate for rididity and and memory retension, composite hood with four air intake tubes inside the hood, tucked high up in the hood making it he most water tight hood on the market. The hull also comes with bow eyes front and rear, 2.5in. exhaust, hull extensions, bond flange wedges, steering cable tube, 2ea. 1/2in water lines, 5/8in trim cable tube, moto mount holes pre-drilled for either 800 or 1100 motor configuration, And last of all deck and bottom are glued together with a high strengh bonding glue, and all hull a pre-finished on the inside with white gel-coat and black splatter. 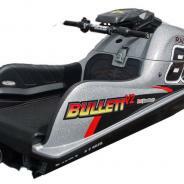 Bullett Racing V2 Kawasaki X2. This boat may have the same look as the Original generation X2 with the exception of the bottom. The Bottom on the V2 X-2 Sport is a race bread and proven design that over the past few years has been winning cahpionship on every continent that it races on. This Hull was built around the intake system of this boat with no comprimises in race conditions Bullett Racing only uses the highest qaulity materials on the market, all of our composite products are built built with AME 6000 Pure Epoxy Vinyl Ester resins. The hull comes with a composite deck and bottom, composite bulkhead, carbon fiber ride plate for rididity and and memory retension, Bullett racing proprietary intake system that comes with intake shoe, and intake grate, composite hood with four air intake tubes inside the hood, tucked high up in the hood making it he most water tight hood on the market. The hull also comes with bow eyes front and rear, 2.5in. exhaust, hull extensions, bond flange wedges, steering cable tube, 2ea. 1/2in water lines, 5/8in trim cable tube, moto mount holes pre-drilled for either 800 or 1100 motor configuration, And last of all deck and bottom are glued together with a high strengh bonding glue, and all hull a pre-finished on the inside with white gel-coat and black splatter.